Fast-track your career with ConocoPhillips’ Accelerate Graduate Program 2017 ! Our Accelerate program combines on-the-job work assignments, technical and non-technical training, mentoring and networking opportunities to accelerate the development of our early career professionals. Graduates benefit from varied work assignments across our Australian business which help build industry knowledge and technical skills, and provide scope to fully capitalise on individual abilities. Graduates participate in our global Engineering Academy, with access to the expertise of global specialists in their fields. Career coaches and technical mentors support the professional development of graduates with career planning assistance, increasing technical proficiency, and identifying development and networking opportunities. Apply Now for 2018 Graduate Opportunities! 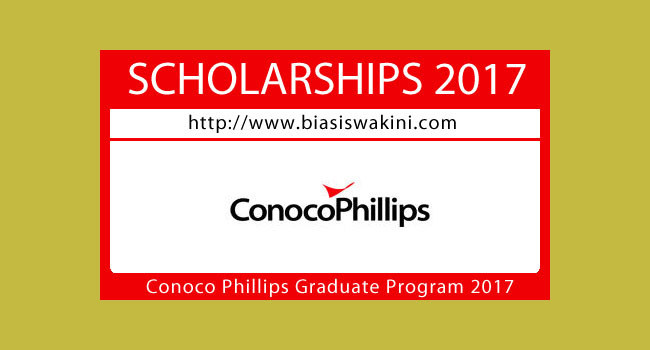 0 Komentar untuk "Biasiswa Conoco Phillips-Graduate Program 2017"